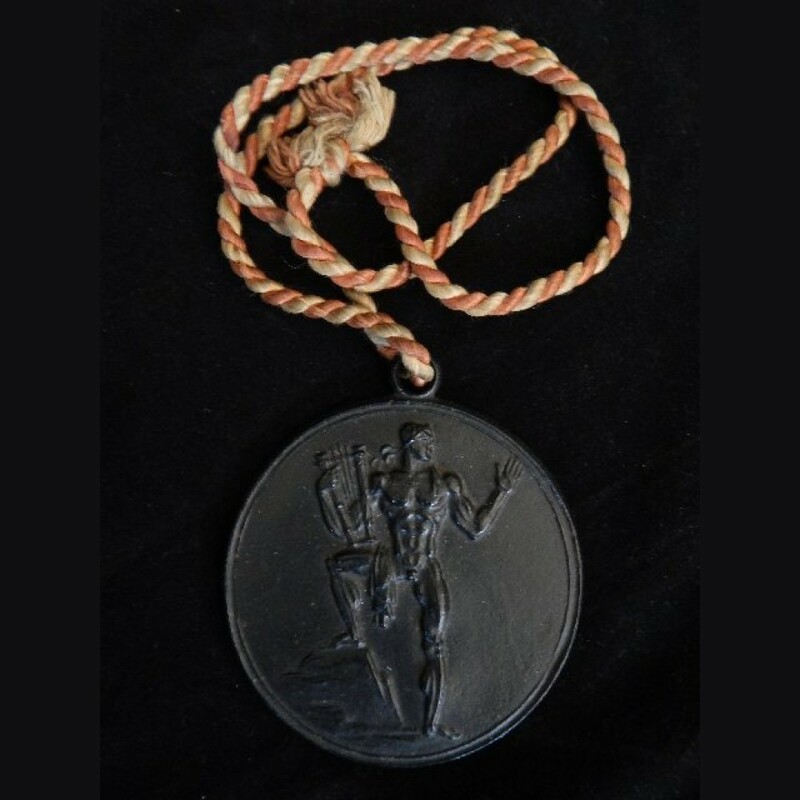 3 5/8" diameter unsigned wearers medal for participation in the 12th Singing Festival held in Breslau 1937. Large high quality example of a rarely encountered piece that may be the work of Breker but with no signature I cant say. Includes the original dual color twist wearers neck cord. Neat piece.